You may recall me mentioning last month that I was joining up with some other artists for a Crafter's Devotional group based on the book by Barbara R. Call by the same name. The purpose of the book is to help unlock your creative spirit and the purpose of the group is a sort of support group for all of us trying get out of our creative funks. 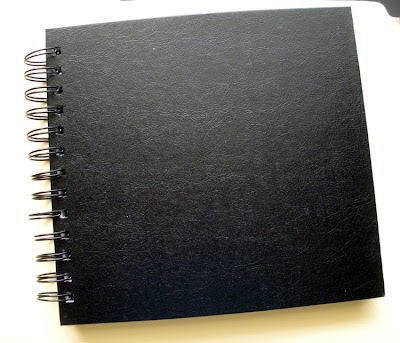 Today is our first. . .blog hop/check-in/thing on our progress with the book. The book has daily inspirations, activities, tips, tricks, etc. to get your creative juices flowing. While you don't have to work through the book in order, I've decided that was the best way for me to keep track. Let me admit that with our vacation and other busy activities, it's been hard for me to keep up DAILY. However, I have attempted to catch up when I've fallen behind on the days. **Questions for the blog hop: What activity has inspired you the most? Or if the book hasn’t grabbed you, why? The book HAS grabbed me, so I'm going with the first question. Yet, I had to go back through my journaling to answer it. I think the activity that really inspired me the most was altering the front of my journal. There was a lot of introspection on this one for me. I know it's weird that something so simple as decorating the cover really had my wheels turning. However, it wasn't about how I would decorate it. Instead my thoughts were tuned toward the actual act of altering something from it's original state. 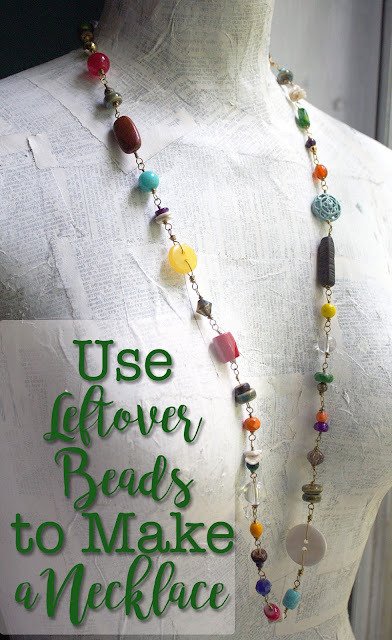 While I'm a self professed 'Mixed Media Artist' and make altered jewelry, I realize that my first thought isn't always how to personalize or change up something. Instead, it's often a forced process. As long as I can remember, I've admired people who weren't hesitant about painting a piece of furniture or slapping stickers on their laptops or performing other acts of altering something from its original state. I think I know where this stems from as well. Growing up on the lower side of middle class, we were encouraged to respect and care for our belongings as they needed to last as long as possible. In addition, there was a lot of renting of homes so all decorations had to be removable. Through all of this, I never really learned to throw caution to the wind and permanently change anything for fear of RUINING it. The act of personalizing the front of that journal (even though it was just with some scrapbook paper and glue) really helped free me from that mindset. Well, let's not say I'm completely 'free' from it, but I don't feel as caged in by it. Oh. . .and here's my journal cover. I want to change it up yet some more, but this was a liberating start for me. A big thanks to Elisabeth at Beads for Busy Gals and Patty at My Life Under the Bus for starting up this little group to kick-start us out of our creative funks. I definitely think the Crafter's Devotional is exactly what I need right now and I don't think I would have discovered it without them. As well, without the group and this upcoming blog hop, the activities might have fallen by the wayside. Having a deadline like a blog post has definitely pushed me forward in getting through the book. So THANK YOU!! I'm definitely looking forward to next month. 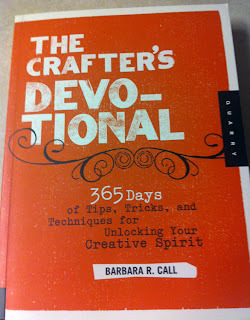 Here's the list of the Crafter's Devotional group so you can hop and see how they're doing with the book. 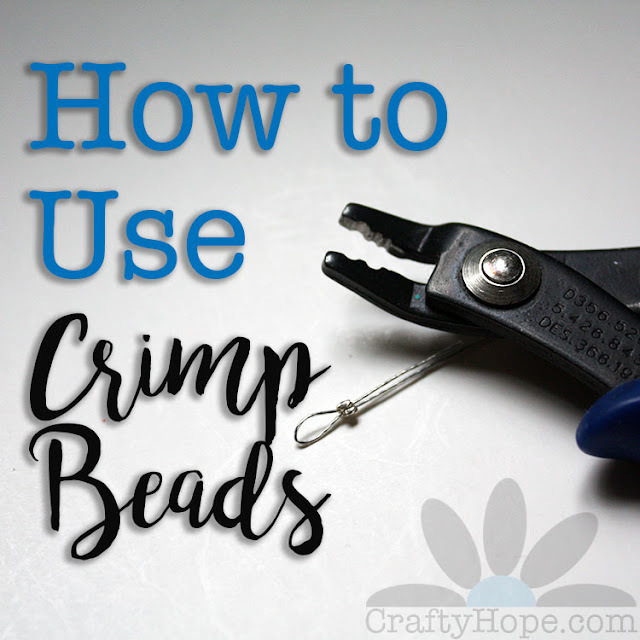 Finally, if you are interested in joining the group or getting any other information, Elisabeth has a Crafter's Devotional link at the top of her blog. Happy Hopping! Hey, you awesome, artsy girl! I completely understand your reasoning behind your creative block, and applaud your first steps in breaking through! 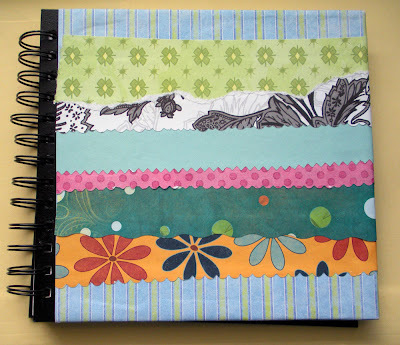 Beautiful journal cover!! Remind yourself- they are just supplies- while I have them, I can do anything I want with them- they are replaceable -my ideas are not- you will go far, my friend! Glad to hear you have found something that keeps you on track, not that I ever thought that you were not on track. Love the jornal cover nice job. There's a thin line between ruining something and creating a work of art! haaaaaaaaaaaa I ruin stuff all the time and it's painful, so I must have very similar tendencies. It's also a matter of having too much focus on what I think something SHOULD look like rather than letting it just come out somehow. Congrats on taking the big cover step! Hope, I completely understand where you are coming from with the "ruining" of something by altering it. It took me a long time to climb out of the "clean" box and realize that a few stickers or alterations are an ok thing. My mom was a clean freak when it came to the home I grew up in, everything has a place and everything in it's place! Messy was never an option! Your journal cover is looking great!! I have wanted to cover my plain calendar, for awhile, I should give it a try!! Fun papers for your journal! I try to just close my eyes and just get to it when I find any task daunting! And.. That moment when ask yourself 'should I or shouldn't I' ??? Well, yes you should why.. because it's just way to much fun! Hope this is a wonderful post that really resonates with me. It took a long time to get out of the clean box too! My motto: Art Is Messy! I stand by it. Jeannie- My issues are less of being messy (I have no issues with messy. . .you should SEE my craft room) and more with RUINING the way something was intended to be. But, I've got to stand up to that urge not to alter something and overcome it. :O Thanks for dropping by! Your journal cover looks wonderful - thanks for hanging with the hop through the stops and starts. I grew up moving around a lot and was never allowed to put anything "permanent" on the walls because we would be moving soon - so I know how you feel about breaking through that need to keep something "nice." WAY TO GO! Thanks for joining in our group!